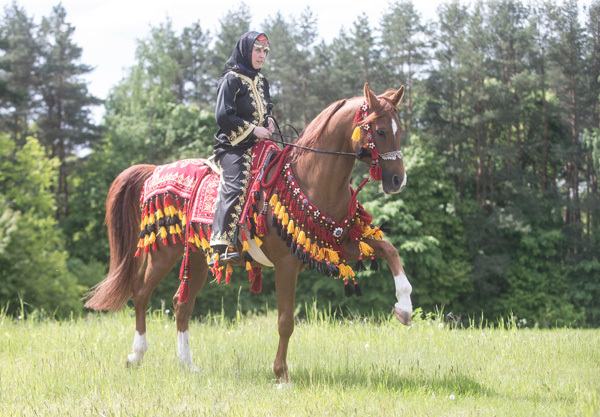 The Lithuanian Horse Breeders Association is pleased to announce that their WAHO Trophy 2015 was awarded to chestnut Arabian stallion Startas, born and and raised in Vilnius Stud. 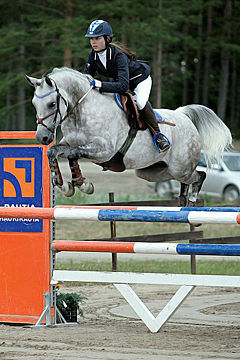 The present owner is Olga Sivec. 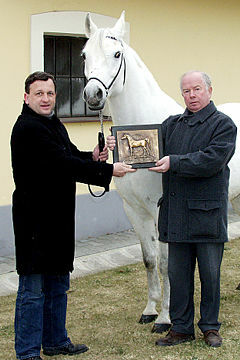 WAHO Trophy Presentation: L-R: Wladyslaw Guziuk (Judge from Poland), Stasys Svetlauskas (President, Lithuanian Horse Breeders Association), Olga Sivec (Owner) on Startas, Rūta Šveistienė (Lithuanian Horse Breeders Association), Nemira Stašienė (Lithuanian Horse Breeders Association). 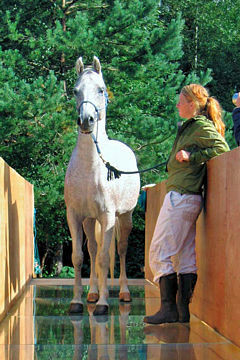 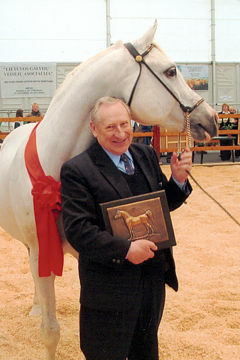 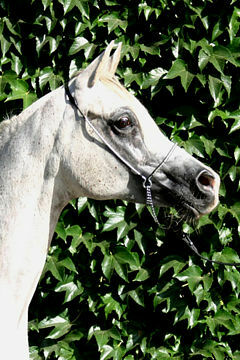 Startas has represented himself as an excellent example of the breed during various shows and exhibitions. 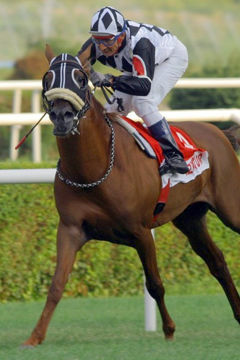 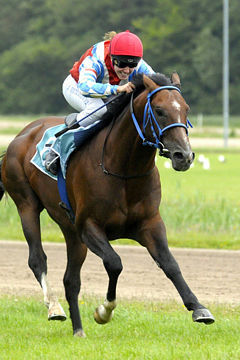 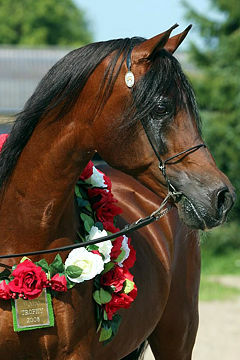 His sire Bosas was Lithuania’s 2005 WAHO Trophy winner, and his dam, Saulute, has been a broodmare of exceptional merit for Lithuania with 11 foals born in Vilnius Stud, including previous WAHO Trophy winner Suvenyras and 2 more foals in Estonia since her export. 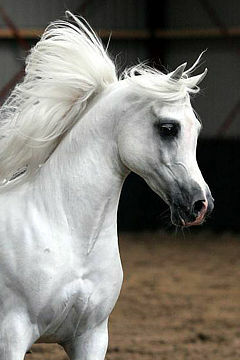 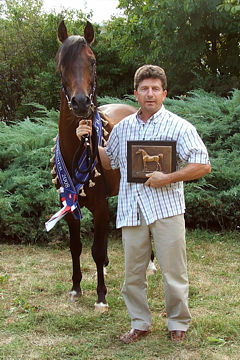 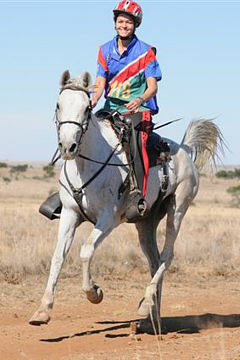 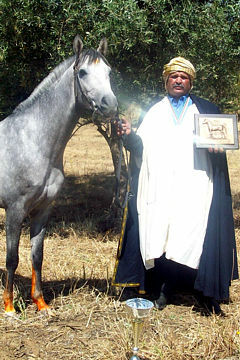 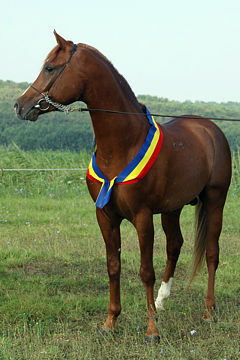 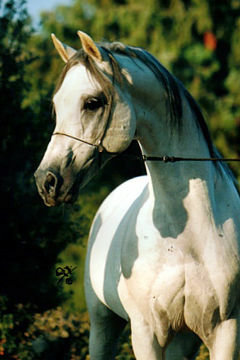 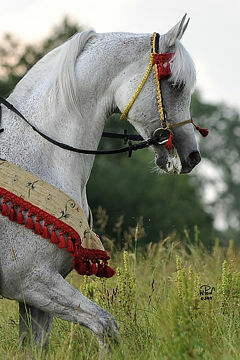 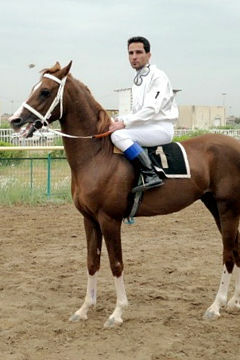 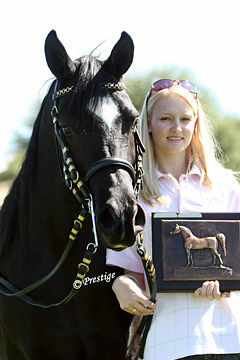 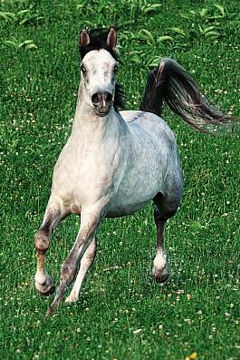 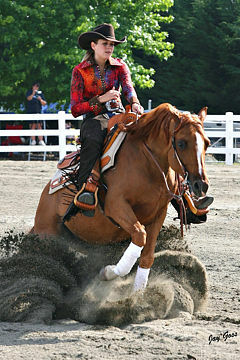 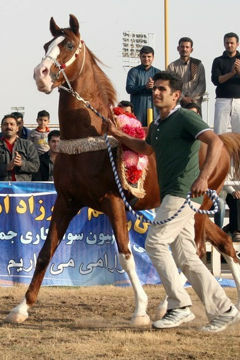 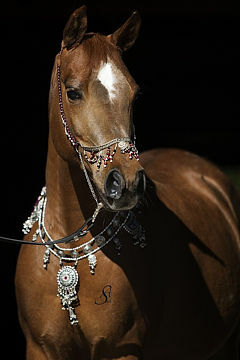 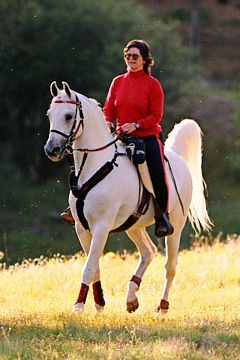 Startas was selected as Reserve Senior Champion Stallion during the Arabian Horse Evaluation Show in November 2012. 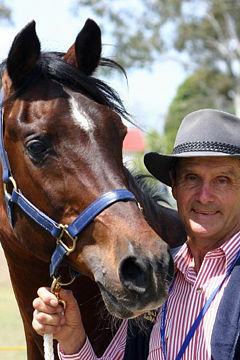 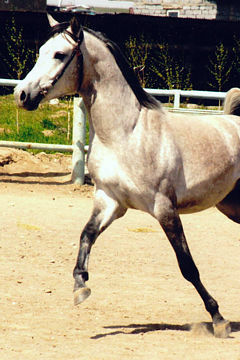 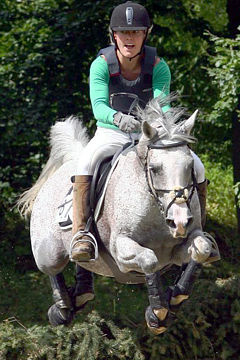 He is also regularly ridden by his owner. 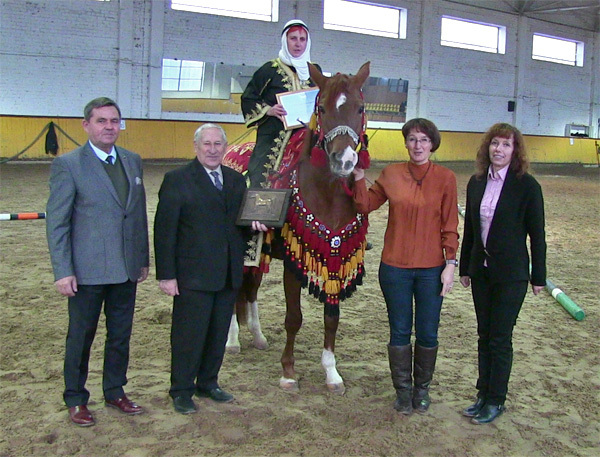 The WAHO Trophy was officially awarded during the Arabian Horse Show and Evaluation event that took place in JSC “Lietuvos zirgynas”(Lithuanian Stud) in November 2015, watched by many respected guests and the audience. 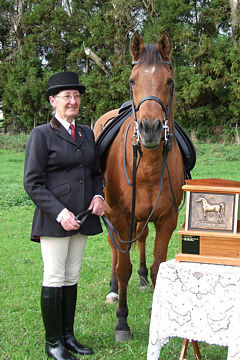 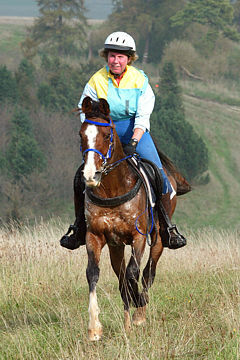 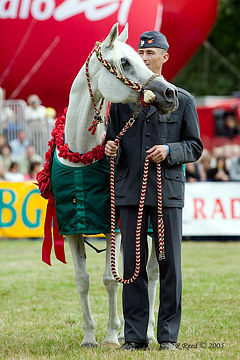 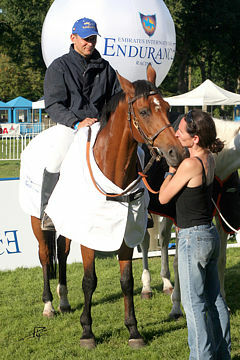 The owner of the horse, Olga Siviec, received the Trophy.